Ryan showed up to invest a significant $347,000 in the tech company saving the day. 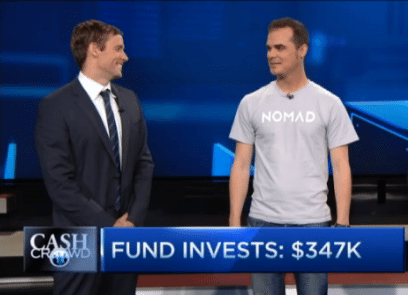 Noah Dentzel, Nomad founder, probably appreciated the gesture after being peppered with shark tank type questions and having only $20,000 kicked in. should be mentioned the crowdfunding campaign on Indiegogo pretty much delivered rewards to backers on time (or just a couple weeks late). The campaign on CircleUp is over funded today – assisted by the house fund – and has been closed. Perhaps the additional exposure from CNBC helped. 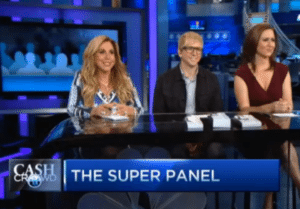 The super panel – not so much. This entry was posted in General News, Offerings, Uncategorized and tagged cash crowd, circleup, hardware, noah dentzel, nomad, ryan caldbeck. Bookmark the permalink.